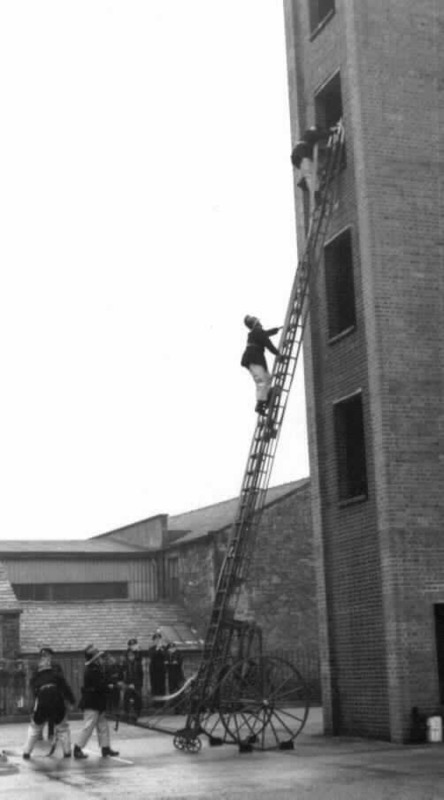 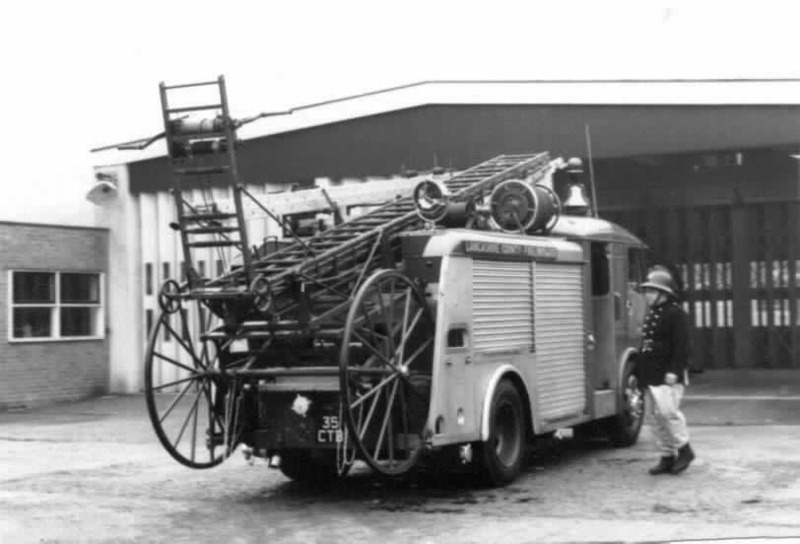 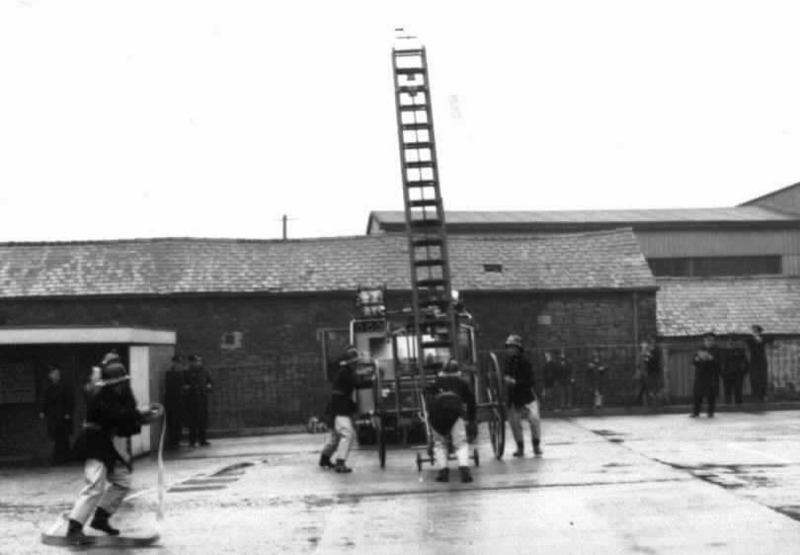 The photographs below were taken during a drill night in 1965, They show firemen removing and setting a wheeled escaped ladder against the tower and doing hose drills. 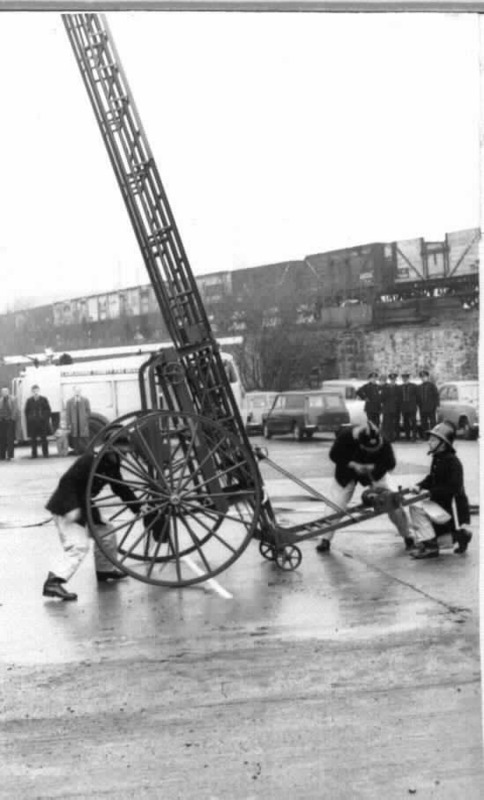 These were taken in the rear yard of the Stubbins Lane Fire Station. 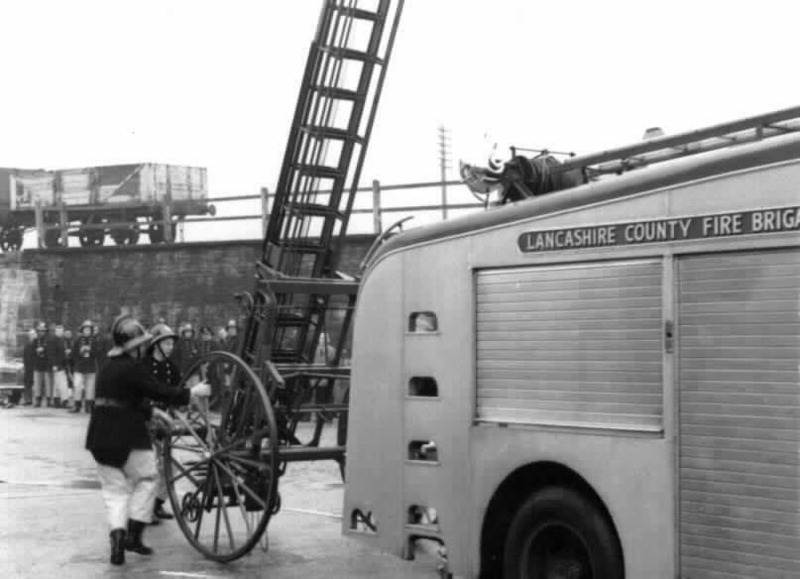 These photographs belong to Les Walker and have been reproduced with permission.